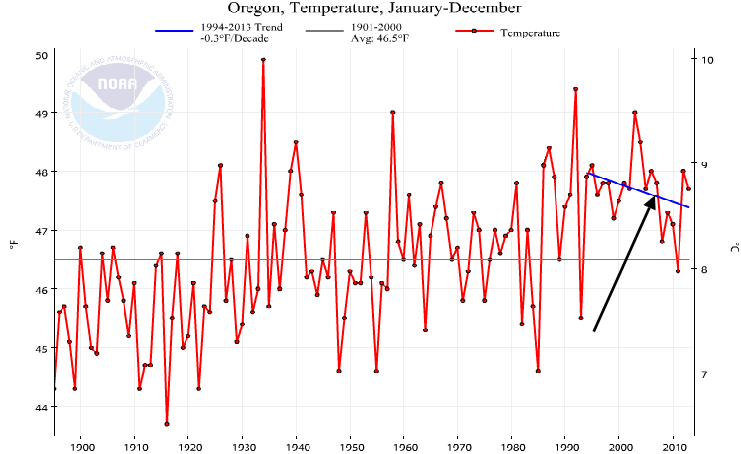 Government Data: Oregon Warming Stopped 27 Years ago! 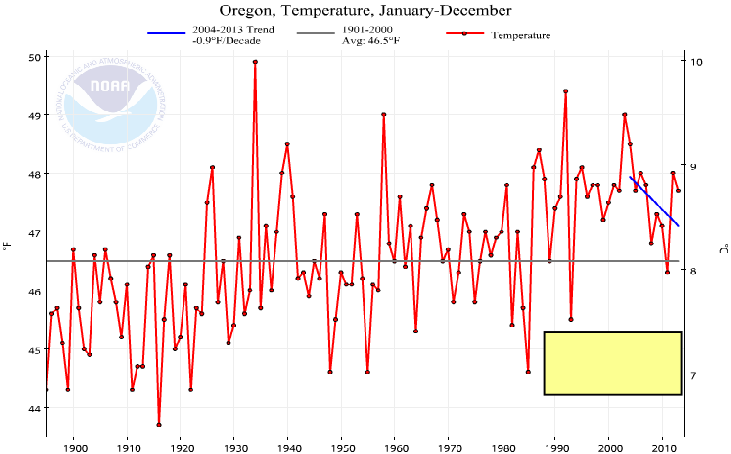 All graphs on this page were downloaded from NOAA, a US government agency, on March 28, 2014. 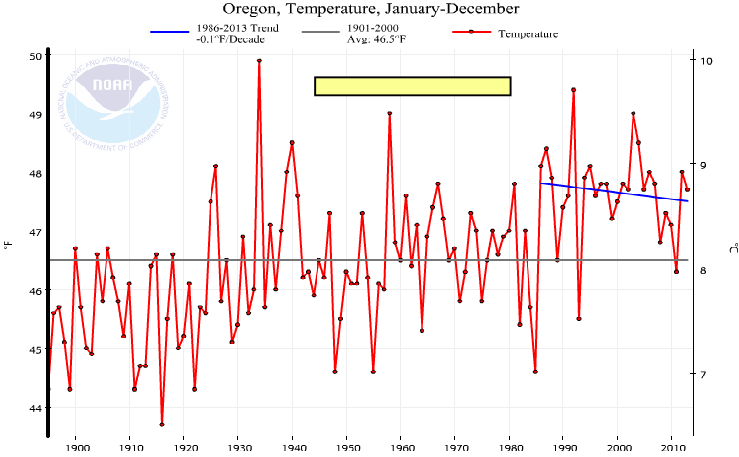 To duplicate them go to: http://www.ncdc.noaa.gov/cag and enter the appropriate dates in the data input boxes and hit plot. In each case we choose the earliest start date that showed no warming to show that warming stopped (or reversed) a long time ago.